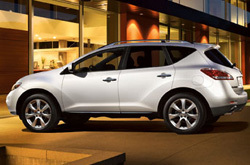 Does the Murano have what you want out of a vehicle? Scroll past the video to find out! Don't stress out over your next purchase; look to the foremost Nissan dealer in Dallas - Fort Worth for thoroughly researched reviews written by industry specialists. Make versed decisions when it comes to your next auto purchase, don't take guesses! Each paragraph is bundled with information and vehicle features in way that's easy to understand. Texas Nissan is always available 7 days a week to answer questions you have. Do not hesitate to call us to speak with our Murano specialists. Compare the 2013 Nissan Murano alongside vehicles like the 2013 Ford Edge, Toyota Venza and the Honda Pilot, and you'll spot that the Murano trumps the competition in various areas. Take a look at our Quick List below to find out why! 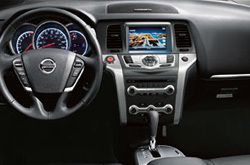 Don't go to a mom and pop auto repair center in Dallas - Fort Worth, Texas when Texas Nissan's exceptional repair techs are just a quick commute away; plus you'll get a free warranty on every service and access to genuine OEM products. Nissans in Dallas - Fort Worth can take a triumphing, so turn to the auto repair pros in Dallas - Fort Worth - Texas Nissan. Whether you come for simple inspections, a simple air filter switch outs or anything else, we'll complete your Nissan repairs with ease. For reliable Nissan repair in Dallas - Fort Worth, drive your Murano to Texas Nissan, where you can reckon on getting personalized service. Check out the link below to see how much money you can save on your next service appointment.